Dealmaker has had an interrupted preparation but his trainer Chris Waller remains hopeful the talented colt can emulate his sire in the Group One Spring Champion Stakes. The colt is a son of Dundeel, who raced in Australia as It’s A Dundeel and won the 2012 Spring Champion Stakes and claimed the Sydney triple crown for three-year-olds the following autumn. Lightly raced Dealmaker broke his maiden at his third start in June over 1550m on the Kensington track at Randwick. 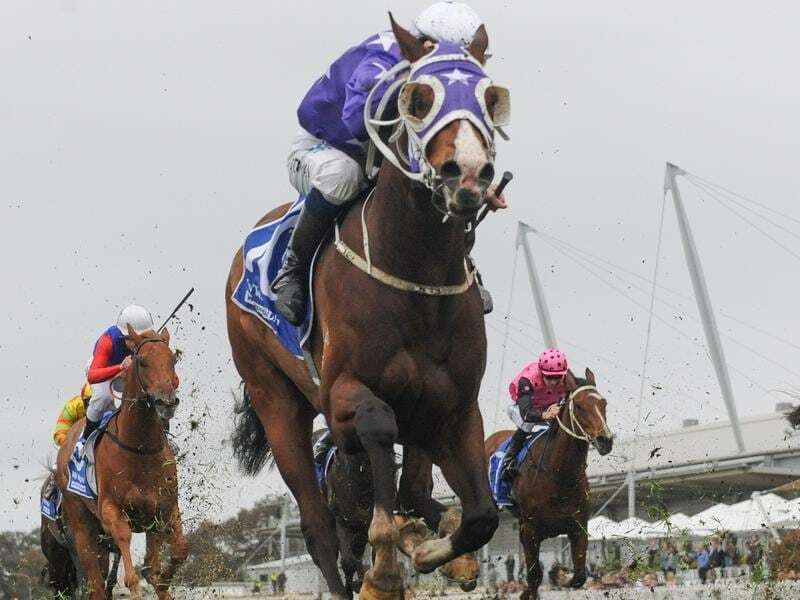 In two starts since then he has finished third in the Ming Dynasty (1400m) and a close second to Spring Champion rival Tarka in the Stan Fox Stakes (1500m). He goes into Saturday’s Spring Champion (2000m) at Randwick with a month between runs after a slight setback. “He’s had a chequered preparation,” Waller said. “He had a slightly elevated temperature and went to the paddock for a few days but has since returned a normal blood profile and has trialled since. “His trial last week was good and he’s a handy horse. In the Stan Fox his stablemate The Autumn Sun was a luckless third before coming out and winning the Group One Golden Rose at his next start. “That was a tough 1500 metres on a wet track so 2000 metres should be no problem,” Waller said. With Hugh Bowman and Kerrin McEvoy riding at Flemington on Saturday, Waller has called on champion jockey Damien Oliver to bypass the Melbourne meeting to head to Sydney to ride Dealmaker who races for Star Thoroughbreds. “Our main jockeys were either taken or are riding in Melbourne on Saturday,” Waller said. Dealmaker was on the second line of betting at $7 on Thursday behind the Gai Waterhouse and Adrian Bott-trained Thinkin’ Big at $3.50. “Naturally he is a very athletic horse. His father It’s A Dundeel did win this race and I think this horse is very much in the same mould,” Waller said.